Beacon Hill School is a wonderful school. It is filled with the sound of children’s laughter and chatter. 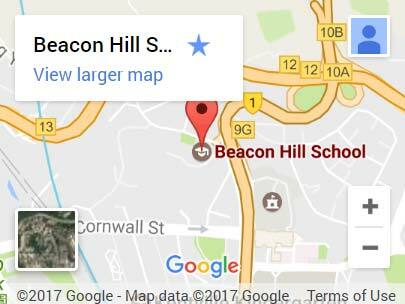 Beacon Hill is a warm and friendly place where everyone enjoys learning together, adults included. At BHS we have adopted the Primary Years Programme. Each year group has six different Units of Inquiry. Each unit helps us to increase our general knowledge and useful skills which we will need to use in the future. Through all our lessons we learn to be: open-minded, caring, knowledgeable, risk-takers, principled, balanced, reflective, thinkers, communicators and inquirers. Units of inquiry allow us to think creatively, use a wider range of resources and develop our presentation skills. BHS also offers a wide range of after school clubs so we can experience more things. The students at BHS have the opportunity to learn and work with others and in doing so, we can look at things from different perspectives. We learn how to communicate and cooperate in a safe and caring environment. At BHS you get the chance to meet new friends and make lasting friendships.